The longer I live the more beautiful life becomes. Even in something as natural as aging, advancements in research and innovation can make the process smoother, improving the quality of life for older adults. In its 2013 Strategic Plan, the University of Waterloo identified an opportunity to become a leader in aging research. In 2014, the Network for Aging Research (NAR) was created to expand the field of aging research and support aging-focused researchers. The development of the NAR, as identified by the University’s Vice-President Academic & Provost, was a strategic and essential step toward advancing aging research. The NAR acts as a networking tool for aging-focused researchers, and fosters collaborative aging research across the university. The Network for Aging Research has launched a call for the 2019 Winter Catalyst Grant. 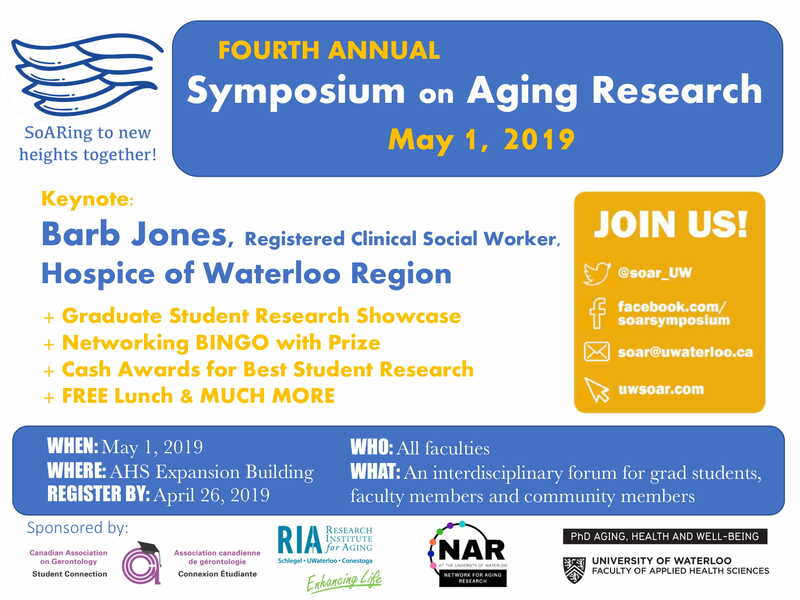 NAR invites qualified researchers from the University of Waterloo to submit applications for exploratory research or new aspects of current research, across a variety of aging-related domains. "How to win grants and influence reviewers"
With a focus on aging research, Symposium on Aging Research (SoAR) is a one-day meeting for engaging with graduate student research beyond disciplinary and professional boundaries, and across areas of expertise. 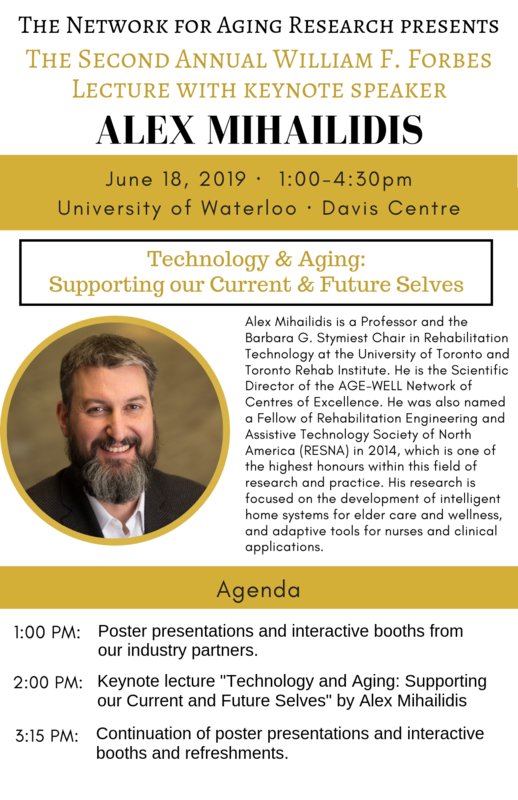 Keynote: Alex Mihailidis, Ph.D, P.